Applying to and gaining acceptance to college is an experience unlike any other for students and their families. The requirements for getting into college are numerous—from keeping grades up and writing entrance essays to taking standardized entrance exams and gathering recommendations, there are many steps to complete. Getting into a school that represents a student’s abilities and aspirations doesn’t have to feel like climbing a mountain, though. The following guide serves as an insider’s look at the entire process, offering a helpful timeline, tips on how to crush the college application, information for transfer and nontraditional students, and an interview with an expert in the field. Senior year can feel like crunch time, with the pressures of the final two semesters of high school aligning with the demands of college admissions panels. The following timeline helps prospective college students and their families create a realistic schedule to ensure nothing falls by the wayside. Before the rigors of senior year kick in, consider using the summer months to visit a few of the schools at the top of your list. Much information can be gained from the institution’s website and online research, but students who visit prospective colleges and universities typically access the best insights – these will be of great help if you receive multiple offers and are faced with tough decisions about which one to accept. Seniors applying to multiple schools should review deadlines for prospective schools and create a calendar showing when things like applications, grades, essays, and recommendations are due to ensure they don’t miss a deadline. Students seeking early acceptance should also review any special requirements to be considered for this type of admission. Depending on the number of schools to which a student intends to apply, they could find themselves writing a variety of different essays for their application. While many questions will overlap and text can be shared across essays for different schools, it’s also vitally important to ensure every essay is uniquely tailored to the individual school. Students should review the essay prompts as soon as possible and spend some time outlining their answers before sitting down to write. The standardized entrance exam a student takes is sometimes dependent on their geographic location and the region of prospective schools. The SAT has traditionally been considered the favorite of students who are excel in areas of vocabulary and writing, while the ACT appeals to students who are more analytic and scientific in their reasoning. If possible, students should try to take both in their junior year to get a sense of which exam is a better fit for them. The Free Application for Federal Student Aid can be completed anytime after October 1 and relies on financial information about the student’s family if they are a dependent, or their own if they are an independent adult. Many schools award federal aid on a first come, first-served basis, so it’s in a student’s best interest to fill this out as early as possible. The number of recommendations required by institutions varies, but they typically want to see at least one academic and one personal character recommendation. Students should identify referees who know them well and can speak positively about their achievements and their futures, ensuring they provide the reference form at least one month before the due date. Students applying for early decision need to submit their applications by December, while regular decision applications are accepted early in the new year. If a school uses a rolling admissions system, it’s best to get them in as close to when the acceptance period opens as possible. Interviews are not always required, but students applying to schools that regularly conduct them should do their research and ensure they feel both confident and prepared. Depending on the location of the school to the student, these may be conducted in person or via telephone. The majority of decisions are made in March and April, although schools with rolling admissions may send letters sooner. Once a student has heard from the majority of schools to which they applied, it’s time to sit down and consider the pros and cons of each. Some of the factors influencing a decision may include prestige, academic offerings, alumni success, location, or cost, and students must weigh all of these when making their final decision. After reviewing available federal financial aid, receiving news of scholarship decisions, and discussing available finances with their families, students need to see how their available aid compares to the total cost of their chosen institution. While some students may receive a full ride or their families are able to cover any outstanding costs, others may decide to cover the rest of their expenses with a loan or work-study program. Whether it be finding a work-study job, taking AP exams, finalizing housing, or sending any outstanding documents, this is the time to do it. In the midst of graduating from high school, these homestretch tasks can often be forgotten, so it’s best to create a checklist to make sure nothing falls through the cracks. Although every college has different requirements, students who are able to get into the mindset of providing colleges what they are looking for while also staying true to themselves are far more likely to feel confident walking into Decision Day. Some of the most common questions about the application process are answered below. Ultimately, different schools are looking for different characteristics, yet many overarching qualities are sought by all. While schools like Harvard use a thorough rubric and rigorous application review process for the 5.2 percent of applicants they accept, institutions with less competition have more lenient requirements. Regardless of the school, the main characteristics an admissions panel looks for is an impressive academic career, demonstration of extracurricular and leadership interests, quality of written work, and solid recommendations from professionals who understand their potential. Selecting schools to apply to is based on numerous factors, including grade point averages, the types of classes taken, predicted standardized test scores, and extracurricular activities of note. School counselors and admissions professionals typically suggest students apply to a range of institutions, including reach, target, and safety schools. What are safe schools? What are reach schools? The science of deciding where to apply is largely based on common advice from admissions counselors to apply to a range of schools with varied requirements for academics and extracurricular activities. Schools that are most closely aligned with a student’s academic record are typically called match schools, while those that are slightly above theirperformance are known as reach schools. With the introduction of the Common Application, today’s students frequently apply to many different options, giving them lots of choices when it comes to selecting their final choice. According to advice provided by The College Board, students should plan to apply to one or two safety schools, two to four match schools, and one or two reach schools. Given the number of requirements to submit even one college application, applying to multiple schools can seem overwhelming at first glance. The following section breaks down individual components of the application to help students understand exactly what’s required. The majority of colleges now use online applications, although some institutions may still require students to complete paper forms. Students are expected to provide a wide range of information about themselves, their families, their citizenship status, and their school, so they should start early. More than 2,000 universities and colleges now accept application fee waivers from low income students. Students who qualified for an SAT fee waiver are automatically eligible for the college application waiver and they can take advantage of them starting in the fall of their senior year. The majority of application fees are nonrefundable – even if a student chooses not to attend the school – but there are a few schools that offer refunds under certain circumstances. A 2015 report by U.S. News found the average application cost across America currently stands at $41, while some schools like Stanford University charge as much at $90. These fees may seem reasonable enough, but students planning to apply to many different schools must consider how these costs add up quickly. All colleges require both new and transfer students to provide transcripts from their high school. Students should be aware that two types of transcripts exist: unofficial and official.Students applying to college while still in high school may be required to send an unofficial transcript since their grades aren’t finalized, but they’ll need to have an official version sent after their grades are in to secure their place at the school. These versions typically look very similar to the unofficial transcript, but have a seal or other official marking to show proof of authenticity. It can take a few weeks for a high school to send the transcript to a college, so students should ask for them as soon as possible. The school profile is another document provided by the student’s high school that basically serves as an official Wikipedia page. Information such as the school’s history, student body demographics, AP and standardized test results, graduation rates, awards, and common colleges attended are included. Most importantly, the profile also discusses the academic curriculum and grading scale. Highly prestigious schools review this information closely in regards to a student’s achievements as it helps them ascertain if students pushed themselves academically.Students attending small schools with fewer options must show that they took as many academically challenging courses as possible, while those at large schools should show how they chose their classes wisely to reflect their future goals. Whether taking the SAT or ACT, these scores greatly help schools determine whether a student is likely to be admitted. Most guidance counselors suggest students first take the SAT or ACT in their sophomore or junior year to get a feel for the questions and to help them get an initial idea of how to classify prospective schools within the categories of match, reach, and safety. The exams can typically be taken up until December of the senior year, providing students with plenty of time to retake the exam if they weren’t pleased with their previous score. When students register for the exam, they are allowed to select up to four institutions to have the grades sent to automatically, but they’ll need to pay an additional $12 fee per report for additional schools. Because the vast majority of schools require recommendation letters for admittance, students should begin thinking about who they want to ask well before the application deadline. References help provide a multi-dimensional view of the student in ways that standardized tests and transcripts fail to do, so students should think carefully about who they ask. The importance of building relationships with teachers and asking those who can speak to your character and academic performance from multiple perspectives can’t be overstated. The College Board suggests meeting with the teachers you choose prior to having them write the letters to help them get a better sense of who you are and what you hope to accomplish. Students should provide an addressed and stamped envelope or the email address of the admissions professional and have them sent directly to the institution. Other than the letters of recommendation, the essay is perhaps the single most important application component that allows candidates to provide a holistic view of themselves.While the instinct may be to write something that caters to your understanding of the ideal candidate for a particular school, resist the urge. Instead, find an interesting topic that highlights the uniqueness of you and your accomplishments. Focus on an aspect of yourself that hasn’t been covered in other parts of the application, and make sure you focus on showing who you are rather than simply saying it by using concrete examples and specific details about yourself. Before sending it off, have a trusted advisor or parent read through the document to ensure your thoughts are clear and your grammar is correct. Some schools or departments may request supplementary information. Students applying to creative programs such as art, music, or writing may be asked to provide a portfolio or previous work to help admissions panels ascertain how the school will serve their future aspirations. Interviews are often used by highly competitive schools to get a better sense of the student off the application page. Whether conducted by an admissions professional or an alumnus, these interviews provide information on the student’s ability to interact with others and how they carry themselves. Review college websites, talk to school counselors, consult your family, and spend quality time thinking about what you want your college experience to be. Make a list of all of these things and keep them in mind while crafting your list of prospective schools. You’ll need to take one of these standardized tests by the December of senior year at the very latest, so it’s important to get a testing date and review a test prep book early in senior year to ensure you’re ready when exam day comes. The essay is sent as an attachment to the college application, but chances are it will take much longer to complete than the application itself. Find out what the essay prompt is early and allow yourself at least one month to think about the question fully before setting pen to paper. It’s important to remember that, more than likely, you aren’t the only student asking a teacher for a recommendation letter. Try to ask your top choices early, providing them time to write a thoughtful and well-considered letter on your behalf. Whether seeking early or regular acceptance, being mindful of deadlines is crucial at this stage. Create a calendar with the deadlines of all the schools to which you plan to apply and consult it regularly. You’ll also need to pay any required application fees at this point if you don’t qualify for a waiver or your schools don’t accept them. October 1 is the first day students can fill out this application, and it’s best to do it as close to that date as possible as many schools offer funds on a first-come, first-served basis. Whether it’s a portfolio or an interview, make sure you’re thinking about information you’ll want to include or topics you’ll want to discuss. Depending on when you applied, acceptance or rejection letters can begin arriving early in the spring semester of senior year. Students who gain acceptance to a reach school early on may elect to accept before hearing decisions from other institutions, while others may want to gain a fuller picture of their options before signing the dotted line. Many decisions are also based on how much financial aid a school is able to provide, so review these numbers carefully and discuss with family. Numerous colleges throughout the country – such as Duke University – provide the opportunity for students to gain early admission if they are able to provide all of their documentation by the November of their senior year. In order to qualify for this program, students should be aware that if they are accepted, they must commit to enrolling at that school. For this reason, students should only apply to one college offering early admission. Most commonly encountered by students who apply to reach schools, a wait list includes students who have not been formally accepted but may be later, depending on how many previously accepted students decide to enroll at the school. Schools extend as many offers as there is space for, but not every student will matriculate. For this reason, students who are added to wait lists should not lose all hope. Being accepted by more than one school is undoubtedly a good problem to have, yet it can be tough deciding between schools that, in many ways, seem very similar on the surface. In 2000, only 9 percent of students applied to seven or more schools, while the class of 2015 included 33 percent of students who did the same. Before the panic sets in, start considering about ways to differentiate schools and think about the setting you see yourself in. Is the campus rural or urban? Are there tens of thousands of students, or do you know a fair number of people who walk past you each day? Is home a plane or car ride away? How important are activities such as Greek life or student clubs? By considering these questions carefully, students can naturally weed out schools that may seem similar at face value. Not getting accepted to any of the colleges a student applies to can feel like the end of the world, but take heart: it’s not. According to the National Association for College Admission Counseling, there are multiple options. The organization keeps a list of colleges that have openings – known as the College Openings Update – that is accessible after May of the admittance year. Students may also consider starting in the winter semester rather than fall, or perhaps take some classes at a community college while they reassess their plans. Lastly, gap years are becoming increasingly popular, so students may want to take this year away from academics to reassess their plans or gain experience and skills that will excite admissions panels when they reapply. Because the ACT and SAT were developed to test a high school student’s familiarity with recently learned materials, these exams aren’t commonly used for students who have been out of high school for many years. Some schools instead use placement exams, such as COMPASS or ACCUPLACER, instead. Unlike programs designed for 17 and 18-year-old students who more than likely plan to devote their full attention to academics, administrators of adult education programs recognize nontraditional students likely don’t have that luxury. Many schools allow adult students to start at varied times throughout the year, offer evening and weekend courses, and allow students to enroll part-time. Even if an adult student has no prior college classes to their name, that doesn’t mean their life experiences won’t earn them credits. Many schools conduct prior learning assessments to see if previous experiences – be it past jobs, professional development opportunities, military service, or other independent study, can count toward postsecondary hours. Although parts of the process are slightly easier for nontraditional students, they’ll still need to produce the same documents to be eligible for acceptance. Students who graduated many years ago may struggle to pull these together, especially if their high school is no longer in operation. One of the hallmark worries for any incoming student – regardless of age – is how to pay for school. For working professionals considering going back to college, employer-provided educational assistance can be of great help. Students should speak with both their employer to see if they are willing to provide funding and also their school to ensure all necessary paperwork is completed during the application process. Transfer students can come from many different backgrounds. They may be transferring from university to university or community college to university. These are very specific because the college acceptance process for a transfer student is much different than the process for a student making the transition from high school to college since they are coming in with credits established. Along with this, differences between when the student transfers mean the acceptance process varies if transferring as a freshman or further into the college process. 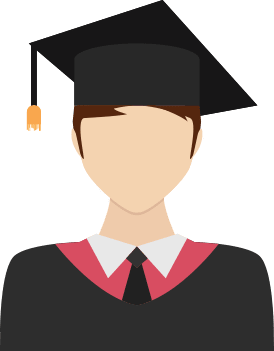 As discussed on North Carolina Central University’s website, students who have taken at least one college credit post-high school graduation are considered a transfer student, but some may come in with the equivalent of an associate degree. If a student is planning on transferring, regardless of reason, one of the most common issues is having all of their existing credits recognized by their new institution. Because of this, many four-year schools have forged partnerships with local community colleges to ensure students aren’t frustrated when transferring to a different school. Towson University in Maryland is an example of the type of program a student should seek out, and many of these exist throughout the country. Depending on the size of the university and their housing process, transfer students may also be expected to find their own off-campus housing. Because priority is given to incoming and existing students, many may find that no places are available for them. Lots of universities have internal message boards or other services to help new transfers connect with each other and find housing together. Requires a student to write essays, gather recommendations, show proof of diploma and ACT/SAT scores, and potentially an interview. Students are able to use the same materials they gathered for their freshman applications, with the addition of their college course transcript. Evaluated exclusively on high school grades, extracurricular activities, and recommendations from professors. Takes into account college coursework, while also recognizing this level of study is more rigorous and students in their first year may still be acclimating to what is required of them. GPA requirements for transfer students tend to be slightly lower than for incoming freshmen. First-time college students have never been through the process of applying to and being accepted to a school, making it a daunting task that can sometimes feel overwhelming. Transfer students have been through the process before and understand what is required of them and how admissions timelines work. Their self-confidence is often higher as they feel able to navigate the steps more efficiently. Incoming college students have chosen their school based on information they’ve gathered, but they won’t really know how they fit into the community and school ethos until they spend a few months acclimating to their new surroundings. Transfer students move schools for a variety of reasons, but one of the most common is not feeling a fit with their first school. Because of this, they have a much more finely tuned list of requirements when it comes time to selecting their second school. For more information, check out our Guide to College Transfers. Katie Schellenberg, CEO and Founder of the educational blog BeyondTutoring and Learning Lab LA, a concierge and academic advocacy firm focused on creating and cultivating lifelong success through learning, offers valuable insight into the college acceptance process. What are some of the best kept secrets about what admissions panels are looking for when it comes to their ideal student? Although it may not be a best kept secret, admissions panels are looking for a well-rounded student and cohesive package. They want to be able to envision the prospective student thriving on their campus. Wake Forest University best depicted what the modern campus is looking for last year with one of their questions, when they outwardly stated that they want Renaissance students, not just smart students. In “Breakfast Club” speak, they want the athlete, the nerd, the popular girl, the anarchist, in one student. It is up to the applicant to convey how they are many things and have many passions. Aside from the tips you hear all the time, what are some of the best ways students can make themselves more competitive? Student are most competitive when they present themselves not just in the best light possible, but in the most thorough way possible. Cohesion is something I find most lacking in college applications and something that most applicants can easily improve on. Make sure you take that extra time to fill out your activity list and highlight measurable things that you have done throughout your time in college. What is one thing about the admittance process that most students don’t know? It isn’t necessarily just about grades and board scores; it is about fit. Scour the website and make sure you will be a good fit and write persuasively and about why you want to go there and why you would make the campus better. What’s the most common mistake students make in their applications and how can they avoid them? I discussed this a bit, but I think the most important mistake is not aligning yourself with the school you are applying for. That, and spelling or grammar mistakes. The supplemental essay is the perfect time for you to show how you would make their campus better and in turn the campus would make it better. If you are on the fence about admitting a student, what is something that’s a “make it or break it” for you? I don’t admit students, but I advise wait list students all the time. Here is an article I wrote on the topic. Looking for tips on how to beat your previous standardized test score? Look no further than U.S. News’ helpful article on the subject. The New York Times education blog offers this wisdom for students looking to make the most of their time before college. The National Association for College Admissions Counseling offers this handy list of ways students can make the most out of their campus visits. The College Board offers this first-hand account from students who found success when writing their college essay. The Common Application provides a range of tips to help students walk into their college admission interview calm, confident, and competent. Lots of colleges, such as Villanova University, have pages on their website providing lots of resources and tips for incoming freshman. Students can research universities they plan on applying to gain a better understanding of how the university provides support. This online quiz provided by Assessment can help questioning students better identify the academic path they should follow, based on a number of measureable factors. The Higher Education Coordinating Commission through the State of Oregon offers numerous valuable resources to high school students preparing to college, and many of them aren’t specific to Oregon. This article hosted on Huffington Posts provides insider tips on ways to stand out from the crowd on a college application. The Pathway to Financial Success Organization provides helpful advice to students looking to save for college after high school.